Grab Ambassador Kit up for grabs! Awesome Grabbers like you deserve an exclusive Grab Ambassador Kit – packed with Ambi Pur Car Freshener, Limited Edition PETRONAS GRAB 5x Points Kad Mesra, Wonda Coffee, exclusive RM50 e-commerce vouchers from Shopee and many more! 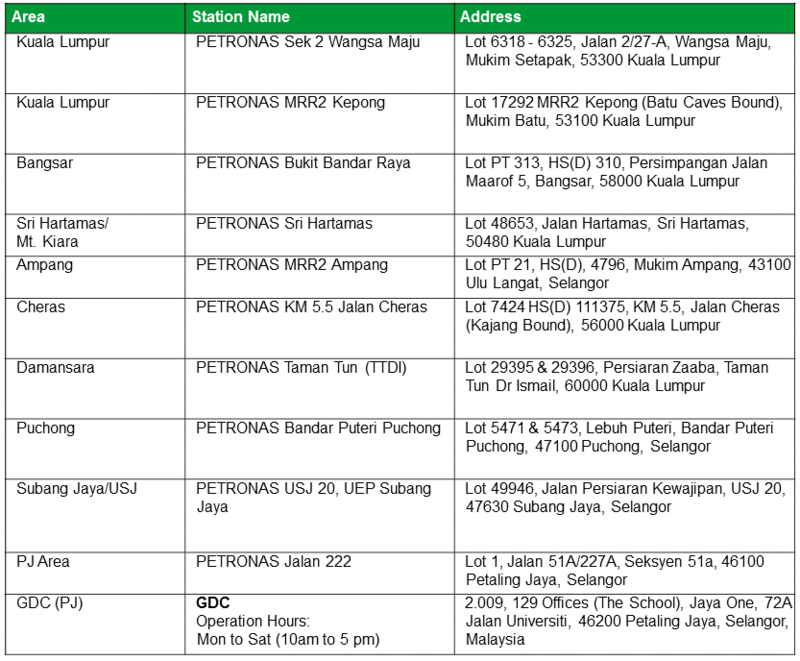 Visit any of the following Petronas Stations to collect your Grab Ambassador Kit. Limited stocks available.